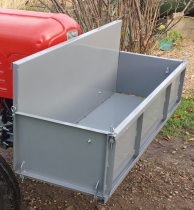 Tractors are much safer and much more comfortable to drive with footplates fitted. All footplates supplied by FergieTrailerShop are made to the same specification as the original items, using steel of the correct thickness. You will notice that the holes and pressings are all in the right places too. They should last a very long time and, more to the point, you will not be afraid to stand on them. TE20s were originally supplied from the factory without footplates, probably to keep the price down as much as possible. The customer could order footplates as an optional extra, in which case the ones shown below, with pressed cleats, were supplied. 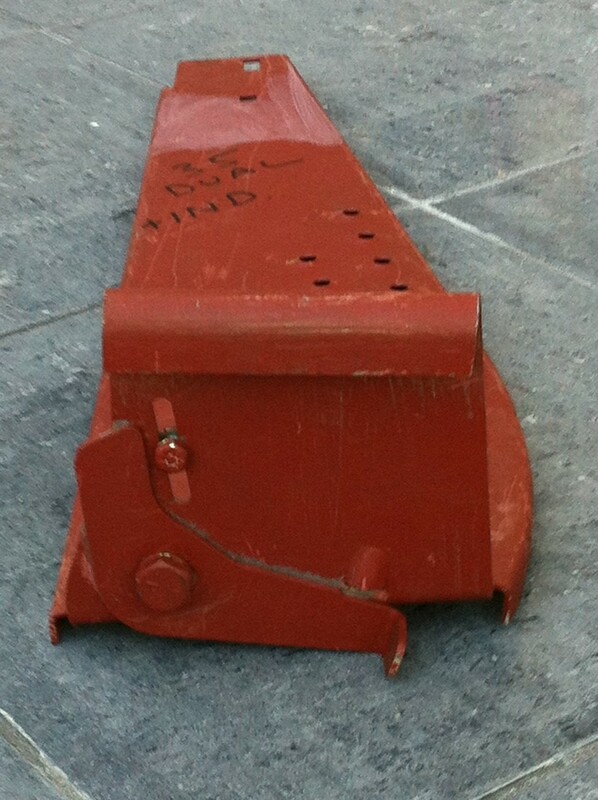 Interestingly, the hook on the front, where the footplates hang on the footpeg, faces backwards. Apparently they had a tendency to come unhooked so when fitting them it is as well to squeeze the front hook around the footpeg with molegrips or similar. Priced at £50 per pair. Images above are of footplates with pressed cleats. MF35 were routinely fitted with footplates with dimpled holes, designed to clear mud from the soles of wellington boots. 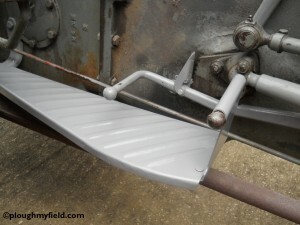 They were generally supplied as an aftermarket item and many of this type of footplate were retro fitted to TE20s. The front hook is bent forwards, presumably considered to be a design improvement. 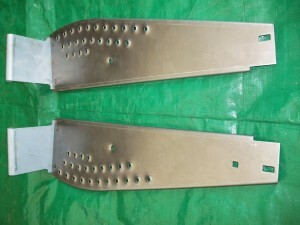 Image above is of dimpled (or cheese-grater) footplates. 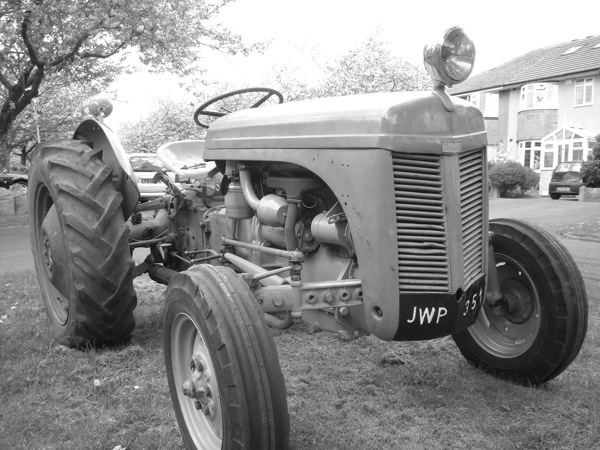 A refinement of the MF35 footplates was introduced some time later when the dual stage clutch tractors were launched. These incorporate a lever which can be position to either allow full or partial clutch travel. Priced at £65 per pair. These were fitted with similar footplates to the standard MF35 but the front upstand was designed to bolt on, rather than hook over the footpeg. 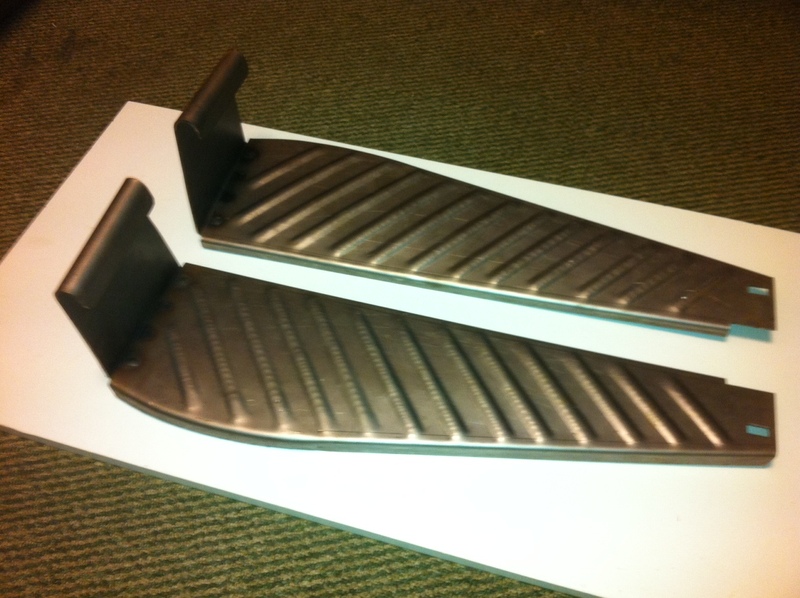 Built to original spec, these are available for £30 per pair, or £25 when purchased with a pair of footplates. 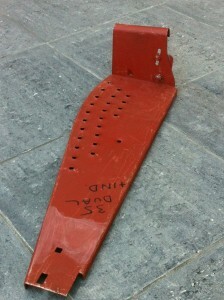 Supplied with bolts to fix to the footplates. 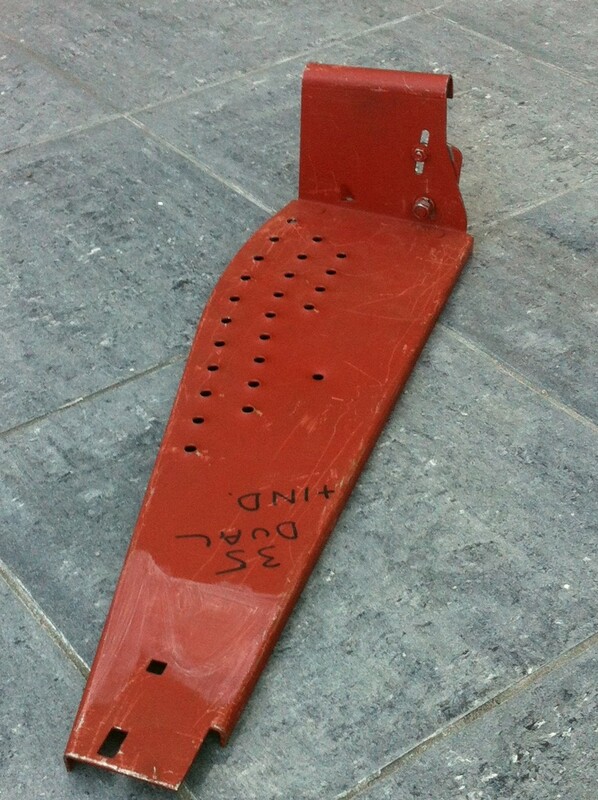 Whilst this may seem expensive for mounting brackets, these are manufactured from thick gauge steel (as per the originals) and will not bend when stood on unlike some of the cheaper alternatives.